Amazing!! 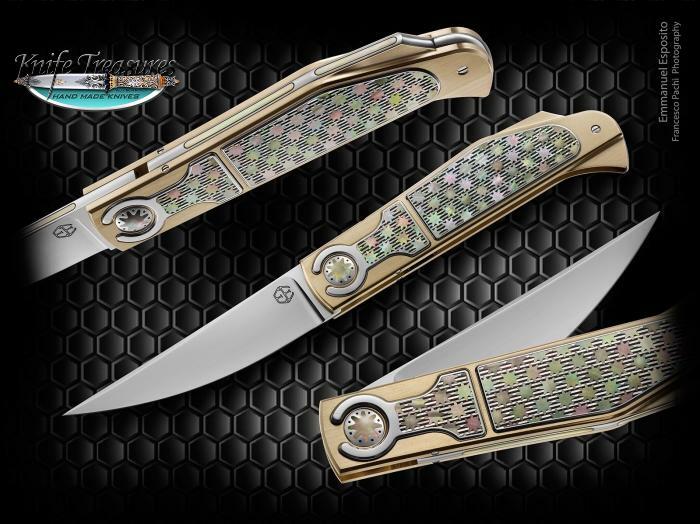 A Solid Gold Folder by Emanuel Esposito. 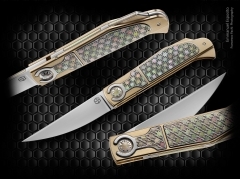 This beauty is a Rare Gold knife by Emmanuel. It is truly breathtaking and works incredibly smooth. The inlays are Bakelite with Black Lip Pearl and Mother Of Pearl. If you ever want to own an Emmanuel Esposito knife, this is his best one ever.